Riviera Nayarit Mexico Blog: The Twitter Party Was A Smashing Success! The Twitter Party Was A Smashing Success! 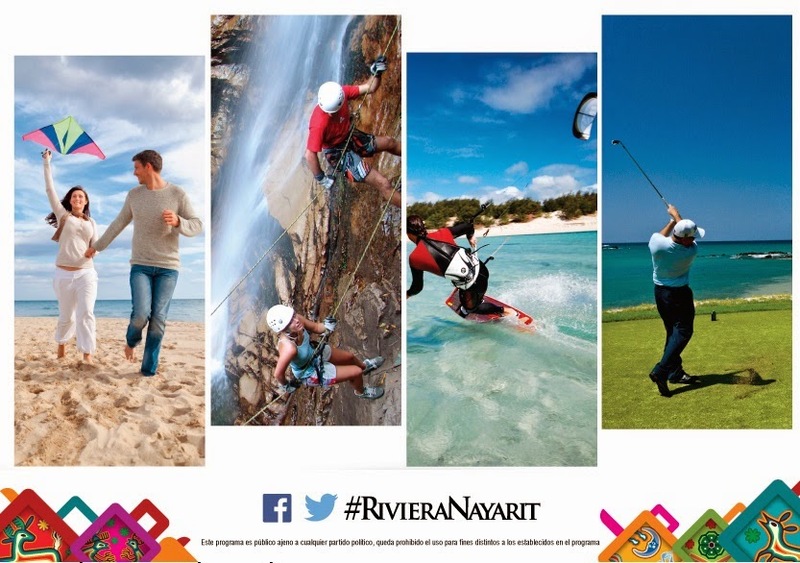 The hashtag #RivieraNayarit trended on the domestic front, helping the social media platforms gain a considerable number of followers as well as great exposure. The Riviera Nayarit’s first Twitter party was a smashing success with outstanding results. Its first objective—to get the #RivieraNayarit hashtag trending—was taken care of and the Riviera Nayarit’s presence on their social platforms grew with amazing speed last May 30th. Basically, the Twitter party generated over two million impressions on this popular social media platform between mentions, tweets and retweets. Halfway through the party, at 1:40 pm on May 30th, the account @tendencias_Mex, which measures trends in Mexico, posted that the #RivieraNayarit hashtag was trending domestically. This was achieved through the different marketing strategies implemented by the Riviera Nayarit Convention and Visitors Bureau (CVB) before, during and after the event, including boosts on Facebook in generating markets such as the Federal District, Aguascalientes, Monterrey, Guadalajara, Querétaro, the state of Mexico and, obviously, Nayarit. Releases were also sent via email to the consumer database, business partners and diverse tourism service providers. The Spanish-language Twitter account (@RivieraNayarit) gained an average of 30 new followers per month from January through April. However, May saw that number increase nine-fold to a total of 291 new followers, bringing the total number of followers to more than 8 thousand. The Spanish Facebook language page had gained an average of 250 followers a month from January through April; May saw the number triple to 796 new “likes.” The total number of impressions reached over 350 thousand. Currently the page has over 16,600 fans. The Riviera Nayarit’s YouTube channel nearly doubled its monthly views; it averages 11 thousand a month, in May it reached 20 thousand views. This success would not have been possible without the support of the state authorities and the Riviera Nayarit Hotel Association’s Social Media Club. The Riviera Nayarit CVB would like to extend a special thank you to the hotels that hosted the Twitter party, including Dreams Villamagna, Grand Velas, Four Seasons, St. Regis, Vallarta Adventures, Villa del Palmar Flamingos and Villa La Estancia.